When I graduated from college and started my first full-time job, I received very sound advice from my dad. “Start saving for retirement right away—You’ll be glad you did.” He has never steered me wrong, so I did what he said and started an IRA at age 22. A few years have gone by and I’m here to report my dad was right. I’m glad I started to save early. But I wouldn’t have saved as much without the encouragement I received, so I’d like to pass this valuable advice on to others and encourage you to do the same. 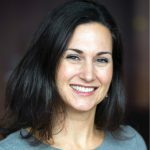 I didn’t fully understand the extent of the value of “start saving young” advice until a few years later when I began working at the International Foundation and took my first Certified Employee Benefit Specialist® (CEBS®) course. We had an in-house class for employees, taught by the head of our accounting department at the time. He loved to share stories and examples, and we enjoyed them all. None had the lasting impact on me quite like his “Tom and Mary” chart. My dad told me to save early, but Tom and Mary showed me why. The magic of compounding became magically motivating to me. 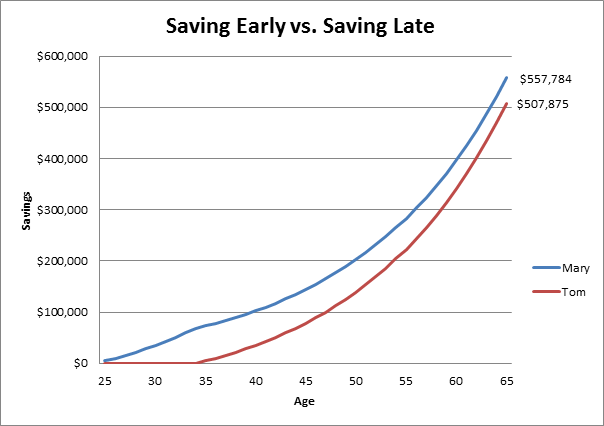 The example has kept me on track throughout the years when I might have been tempted to spend the money I was saving for retirement. *Example assumes annual savings of $5,000 with a 7% return. Today’s college graduates face increasingly challenging financial decisions and perhaps even more spending temptations than I did at 22. Significant college loan debt haunts most . . . a nonstop barrage of messages of “you need this to be happy” . . . the pressure to buy a home. But the priority of saving young still stands. 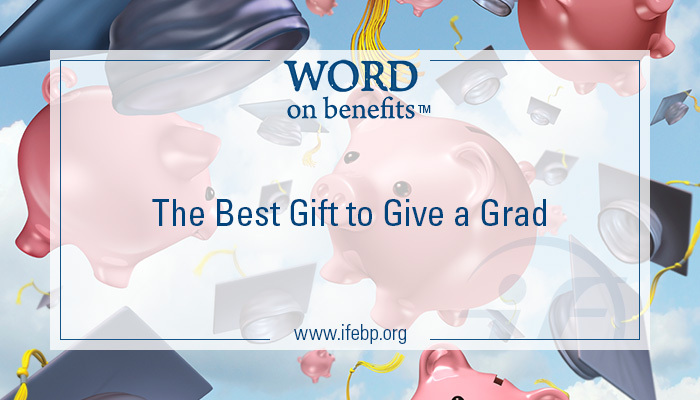 Arm the grads you know with motivation. Discuss the impact of starting early using resources like the Tom and Mary chart, and help them to find a way to do so using tools to prioritize their expenses, spending and saving. Here’s another way to show the impact of starting early. In this scenario, Mary saves from ages 25-35 and then stops. Tom diligently saves from 35-65 and still doesn’t have as much money as Mary when he retires. Tom saves $150,000 compared with Mary’s $50,000, but the magic of compounding makes Mary’s early investment much more valuable in the end. 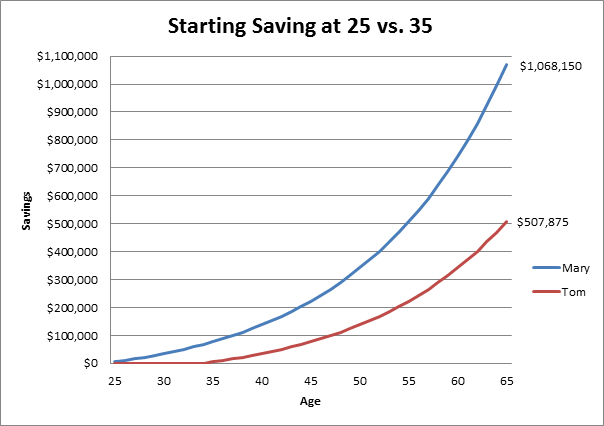 There are many approaches to help encourage younger workers to save. Whether you incorporate this message into your new employee orientation or offer ongoing communication to promote retirement security throughout the career journey, the International Foundation has resources to help. Visit our Financial Education/Retirement Security page for news, success stories, best practices, tools for learning and legislative efforts. The Path to Retirement Security in the U.S.: How Employers and Plan Sponsors Can Help—White paper highlighting the critical role employers and plan sponsors can play in helping workers achieve a secure retirement. Take Control of Your Future, Even If You Can’t Picture It—Five easy tips and a useful budgeting worksheet to get started. Especially useful for those with more than 15 years before retirement. Retirement Education for All Ages—Benefit Bits video with tips to motivate younger people to save. The Magic of Compounding—Brochure PDF from Choose to Save.